Warner Bros.' highly-anticipated Blade Runner 2049 managed to gain early rave reviews, which led to even more hype surrounding the movie, but it wasn't enough to save it at the box office. 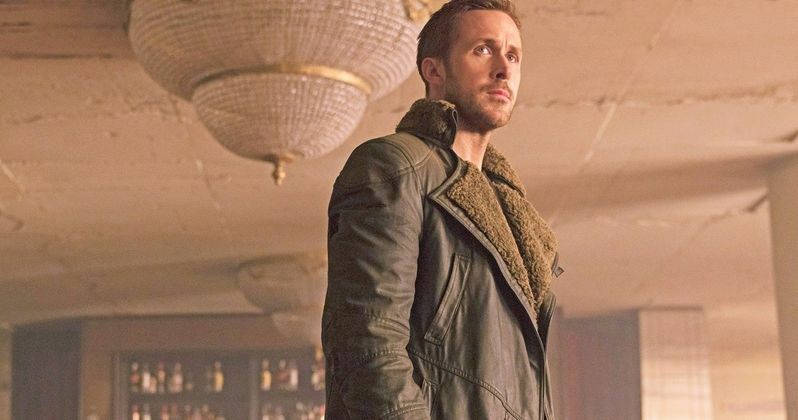 That's not to say that the movie couldn't build up some momentum, but with a $31.5 million opening on a $155-million-dollar budget, it seems that the writing is on the wall for Blade Runner 2049. There isn't much in the way of competition until Thor: Ragnarok opens up in November and the movie could end up doing pretty well overseas, but it looks to be a domestic failure. What are some factors that led to the disastrous opening for such a hyped R-rated sci-fi movie? As it turns out, Andres Muschietti's IT remake more than likely stole the R-rated thunder since many adults can't make it to the movies without bringing kids along and already used their night out on seeing IT which came out late last month. IT is still going strong at the box office, having just surpassed $600 million, making it the biggest horror movie of all time. Another reason that it will be deemed a failure is that the budget for Blade Runner 2049 was ridiculously over budget for a movie of its kind. Just because it has Harrison Ford from Star Wars involved does not mean that it's going to earn Star Wars money at the box office, no matter how amazing it looks. The original Blade Runner is still very much a cult movie, so it's not exactly clear why Warner Bros. anticipated the sequel to do so well. The movie is nearly 3 hours long and does not appeal to children in any way shape or form, which defeats the purpose of having such a bloated budget in this current Hollywood landscape. Beyond that, Blade Runner 2049 has a woman problem which might turn off female viewers and could be leading to the female lack of interest in the film. Another reason that Blade Runner 2049 opened so poorly could likely be due to the lack of information about the plot and the characters. Star Wars and the MCU have characters that everyone is familiar with and therefore can go with the spoiler-free marketing campaign. Blade Runner, not so much. The Blade Runner 2049 reviews have been stellar for the most part, but there was still no mention of anything having to do with the plot or the characters within the movie. One thing that was pointed out in a lot of the reviews was that it was not an action movie, which more than likely turned off a large section of the audience that still reads reviews. In the end, it turns out that moviegoers weren't all that interested in seeing the sequel to cult sci-fi movie that was released 35 years ago. Blade Runner 2049 can still earn some major money overseas, but we'll have to wait and see how that all pans out. Blade Runner 2049 was promoted heavily, but it didn't matter because not that many people were interested in it to begin with. Obviously, fans of the movie were and are excited for the movie, but diehard Blade Runner fans aren't going to recoup on a nearly $200 million-dollar budget.